I've really enjoyed taking part in Veganuary this year (both the food/diet and ethics/lifestyle sides of it), and I'll definitely be including more vegan beauty products in my daily routine from now on. 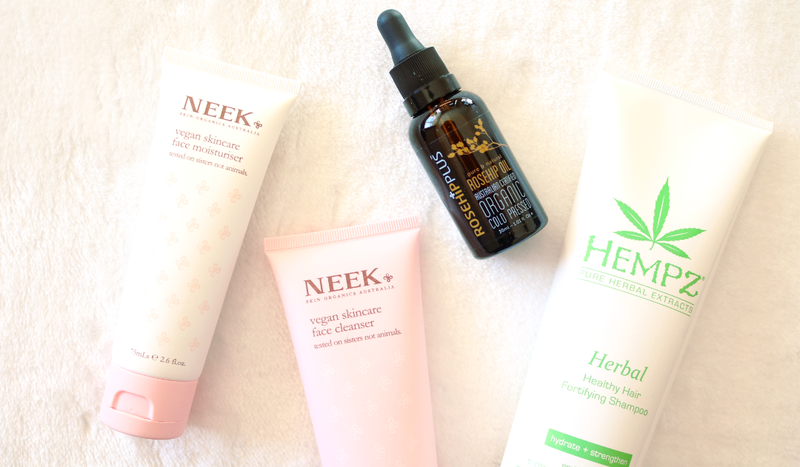 If you're looking to do the same, check out these four vegan beauty products from Hempz, NEEK Skin Organics and RosehipPlus that you can use every day. To accompany their gorgeous vegan-friendly lipsticks (check out my feature on those here), Aussie brand NEEK Skin Organics have recently launched their very first foray into skincare with these two exciting new products; a Vegan Face Cleanser and a Vegan Face Moisturiser. The Vegan Face Cleanser is a super gentle, light gel cleanser which can be used either in the morning or evening. Packed full of botanical extracts such as Aloe Vera, Sage, Calendula, Horsetail, Bladderwrack and Wild Peach, it's particularly useful for those who have blemish prone skin as it helps to keep spots at bay. However, it's equally suitable for anyone who wants a cleanser that will thoroughly remove all traces of makeup and daily grime so it's a great all-rounder! I love the uplifting fresh scent that this cleanser has too - it's very refreshing to use first thing in the morning and always leaves my skin feeling soft and not stripped or tight afterwards. It's free from parabens, phthalates, mineral oils, palm oil, perfume, phenoxyethanol, gluten, propylene glycol, EDTA, and animal by-products. 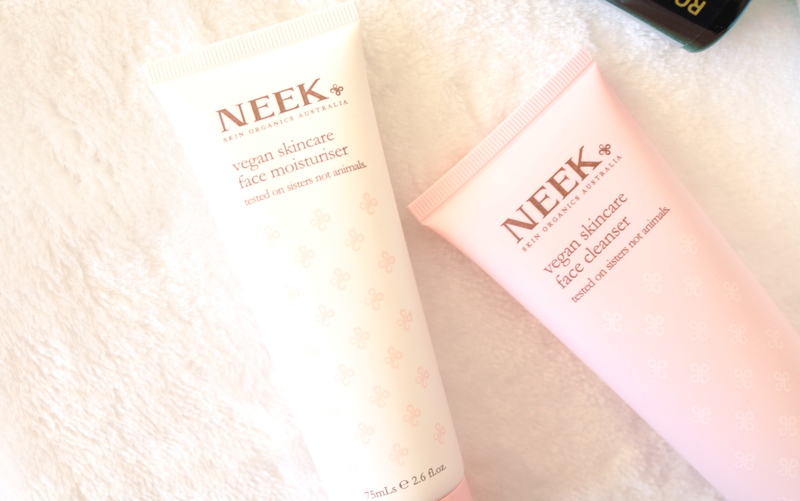 A great follow-up to the cleanser is NEEK's Vegan Face Moisturiser and these two really work well together. It's nicely hydrating for this time of the year, yet feels very lightweight and non-greasy on the skin as it absorbs quickly. Featuring nourishing, anti-ageing ingredients like Hyaluronic Acid, Aloe Vera, Green Tea, Chamomile, Squalene, Wattleseed, Coconut Oil, Shea Butter, Avocado Oil, Rosehip Oil and Vitamin E, this moisturiser is perfect for mornings so that you have a comfortable layer of protection to face the day with. Another Aussie beauty favourite that's now readily available here in the UK thanks to Amazon, is from RosehipPLUS. Their bestselling Certified Organic Cold Pressed Rosehip Oil is a 100% pure and natural Rosehip Oil with a difference. Not only is it organic and cold-pressed, but it's made from Rosehip Berry Seeds that has had all the flesh removed before the pressing process, which gives it a unique warm golden colour, rather than the dark reddish hue that you see with many other cheaper brands. 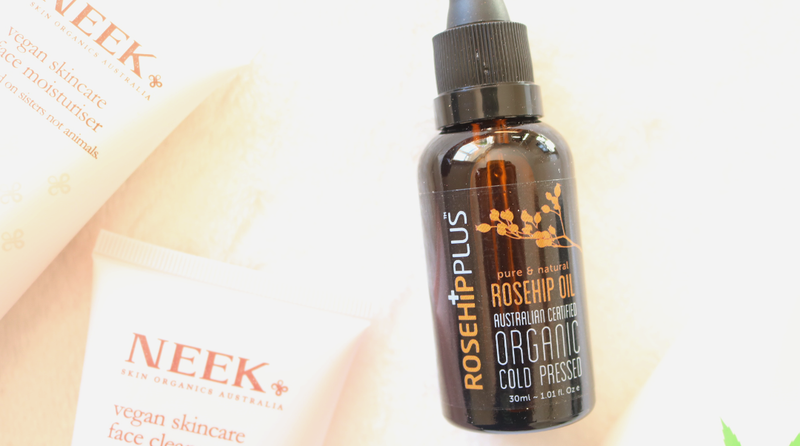 I've spoken about my love for rosehip oil in numerous posts as I find it's such a brilliant oil to have in your skincare routine. High in natural bioflavonoids and essential fatty acids, it's great for helping to fight free radical damage, thus protecting the skin against the elements which in turn, helps to reduce the appearance of fine lines and wrinkles. As with most oils, a little goes a long way (only 2-3 drops are needed), and this one especially feels very luxurious, hydrating and nourishing when massaged into the skin. If your hair is currently feeling weaker and drier than usual due to the Winter weather, switching up your shampoo can definitely lend it a helping hand. 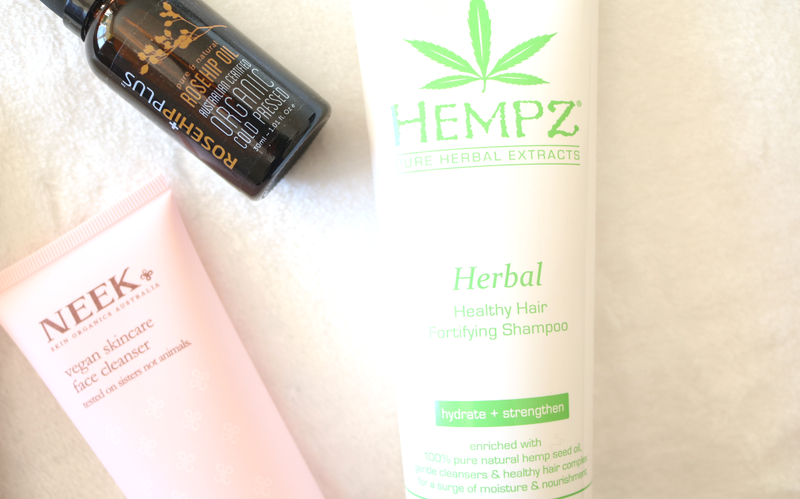 This one from Hempz is from their popular Herbal Healthy Hair Fortifying range which has been specially developed to hydrate and strengthen, so there's no better time to try it out! It's 100% vegan-friendly, free from THC, parabens, gluten and harsh sulfates, and it does an excellent job of thoroughly cleansing the hair and removing any product buildup. Featuring a healthy dose of ultra-nourishing Hemp Seed Oil, alongside ingredients such as Sunflower Seed extract and Shea Butter, this shampoo will help to put the shine and bounce back into your hair, plus it'll make your tresses feel a lot less fragile and less prone to breakage with long term use. Have you tried any of these vegan beauty buys?